Many argue that this prohibition is revoked by the acceptance of eunuchs which is given in Isaiah 56:4-5, as part of a general theme of inclusion of the outcasts of God in Isaiah 56:1-5. 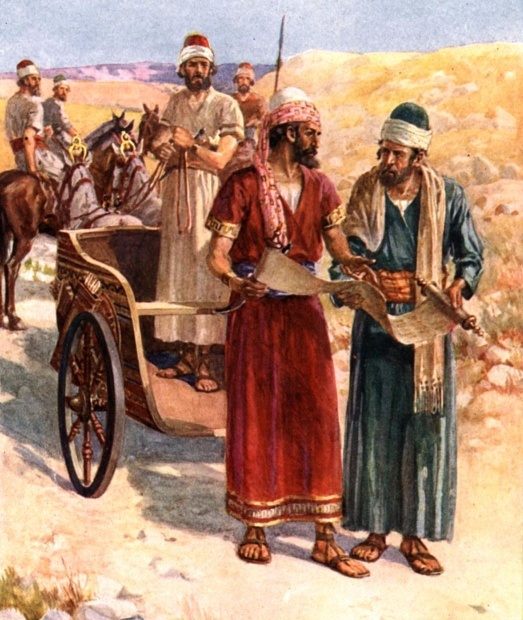 Others claim that Isaiah 56:4-5 does not revoke Deuteronomy 23:1 because Isaiah was speaking of Israelites who were exiled in Babylon and made eunuchs without their consent. Furthermore, eunuchs were not ever engaged in sexual relationships, as most transsexual persons are. (Childs) Please see the page on Isaiah 56:4-5 for a much more detailed explanation of the connection between Deuteronomy 23:1 and Isaiah 56:4-5.